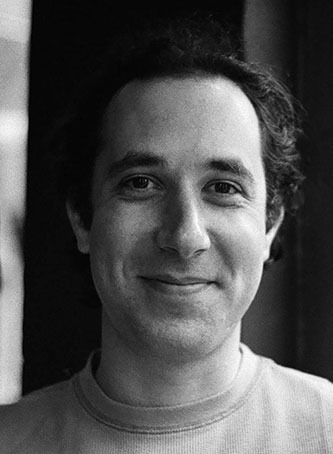 Jonathan Zalben's work includes scores for film and television, concert works, and interactive multimedia installations, at times including his own performance on violin. In September 2016, Zalben joined the Music Composition faculty of Brooklyn College, with a specific focus on teaching in the new M.F.A. programs in media scoring and sonic arts. Zalben has written music for films released by HBO, Lionsgate, Discovery, and Sony Pictures Classics. His film music has also screened at the Sundance, Berlin, SXSW, and Tribeca film festivals. He scored the feature film Flock of Dudes, starring Chris D'Elia and Hannah Simone, which was released by Starz, theatrically, and on VOD. Other scores include the Oscar-nominated Redemption, directed by Jon Alpert and Matthew O'Neill, as well as the HBO documentary There's Something Wrong with Aunt Diane, directed by Liz Garbus. Previously, his music has been heard at Sundance in Morgan Spurlock's The Greatest Movie Ever Sold, Evan Glodell's Bellflower, and Hotel 22, a New York Times op-doc directed by Elizabeth Lo. He studied music composition and violin at NYU, Yale, and Juilliard Pre-College. Zalben previously taught courses in creating music and sound for picture as well as interactive media at Yale, The New School, Bloomfield College, and York College (CUNY).